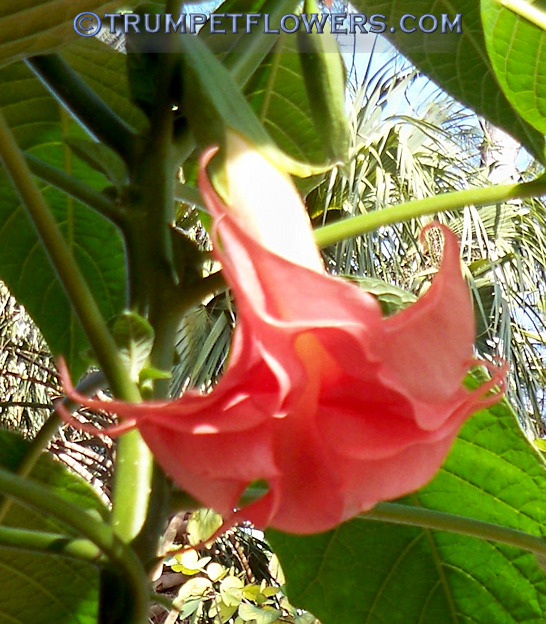 Salmon Perfektion in mid-November, 2014. 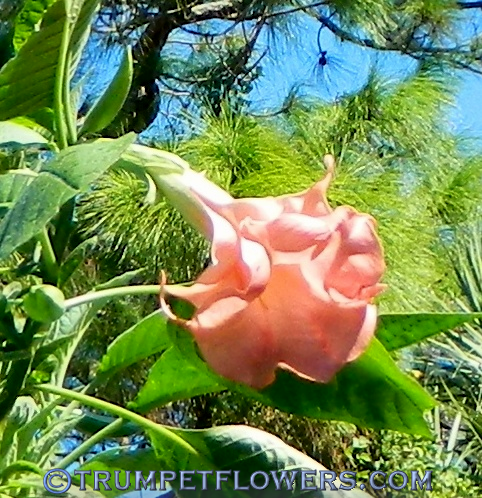 Brugmansia Salmon Perfektion is sometimes mistakenly spelled Salmon Perfection. 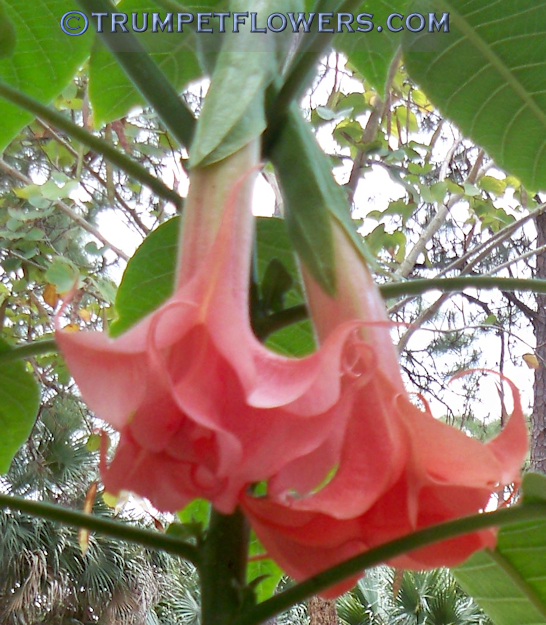 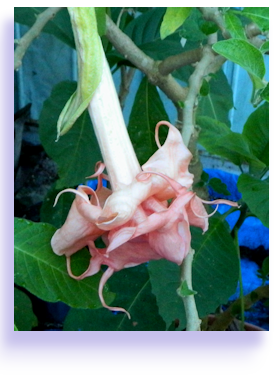 Brugmansia cultivar Salmon Perfektion is a double bloomer with outstanding color. 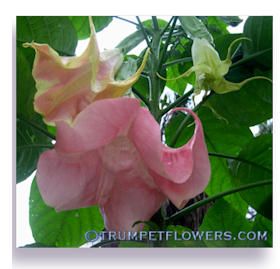 Angels trumpet Salmon Perfektion is a European cultivar and was created by Anne Kirchner Abel. 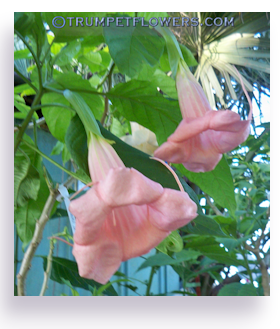 Published in 2002. 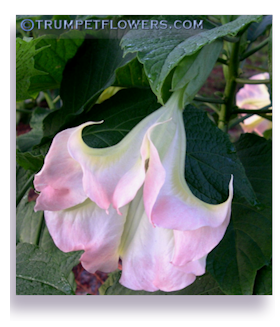 Angels trumpet Salmon Perfektion has unknown parentage. 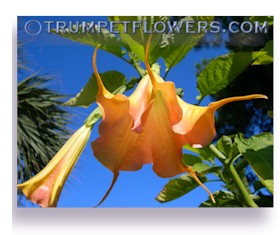 It is one of the taller brugmansia, easily attaining heights of over 20 feet if placed in the ground. 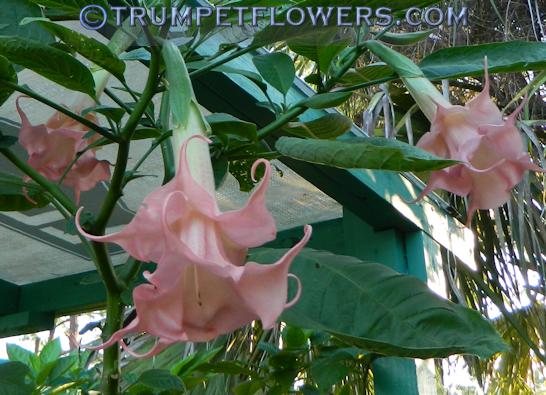 Even potted up, she reaches 7 to 10 feet. 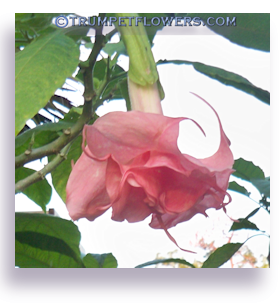 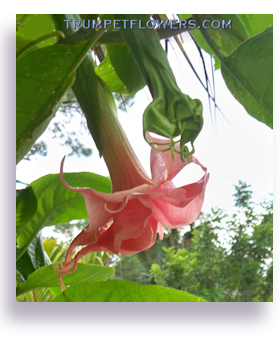 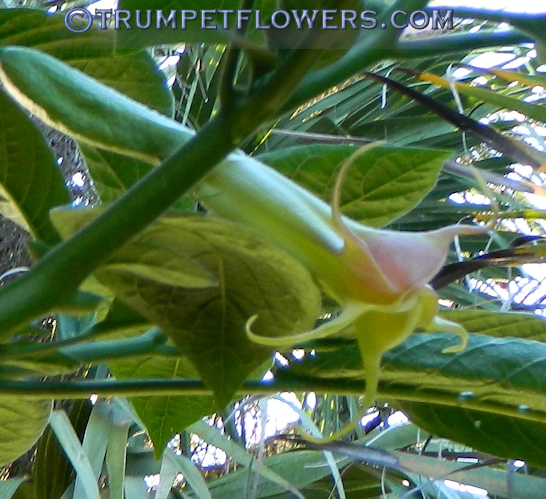 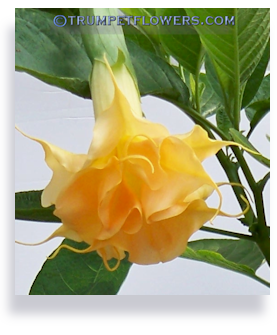 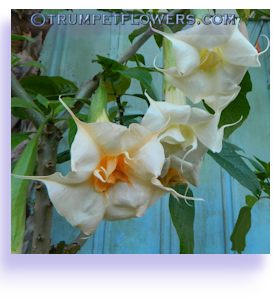 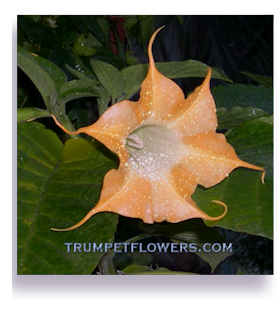 Salmon Perfektion brugmansia has a smaller flower than many, mostly about 6 to 8 inches in length. 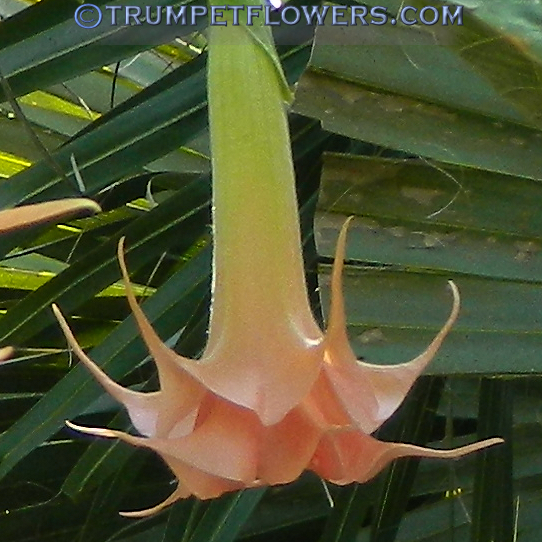 That&apos;s still large, compared to many other groups of flowers. 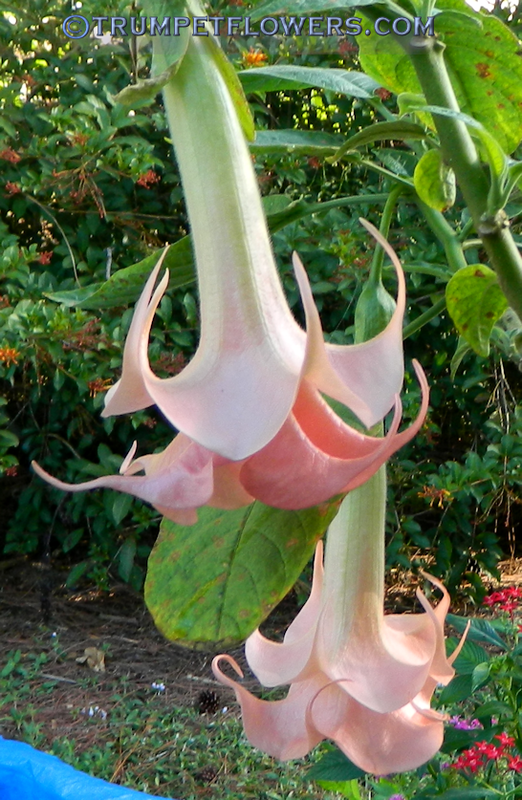 Slamon Perfektion has large, furry leaves. 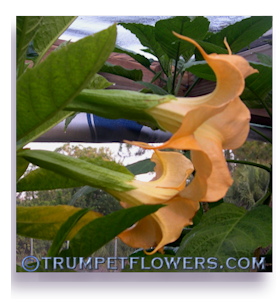 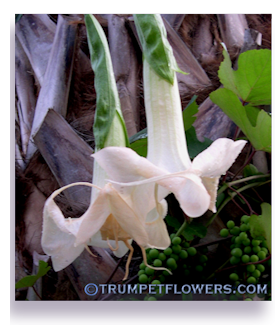 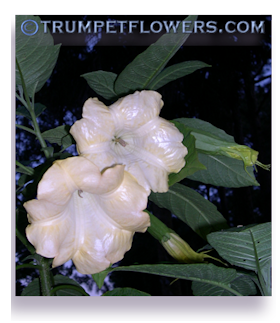 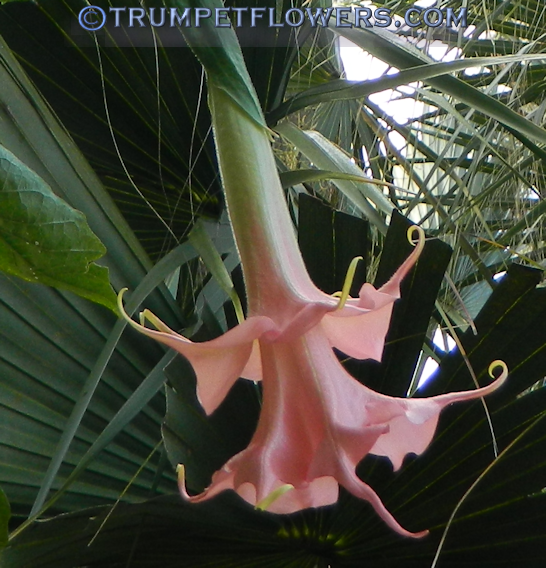 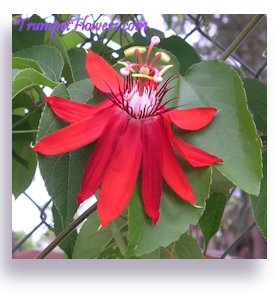 Another bloom of Salmon Perfektion Trumpet Flower. 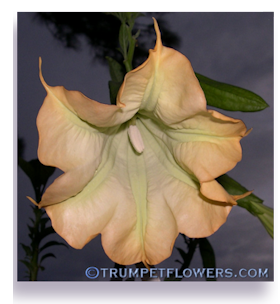 Notice the tips of the teeth are still yellow. 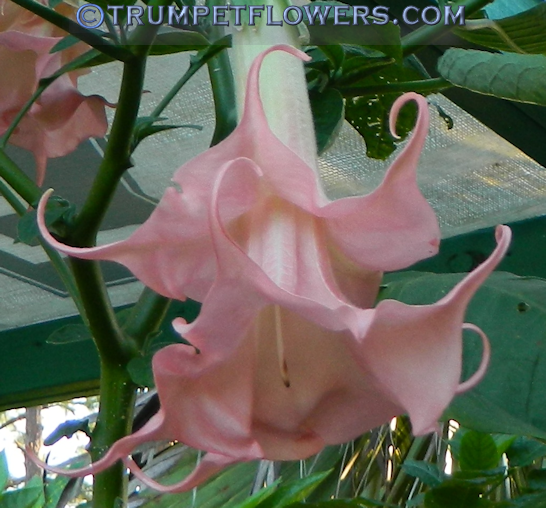 Very lovely indeed. 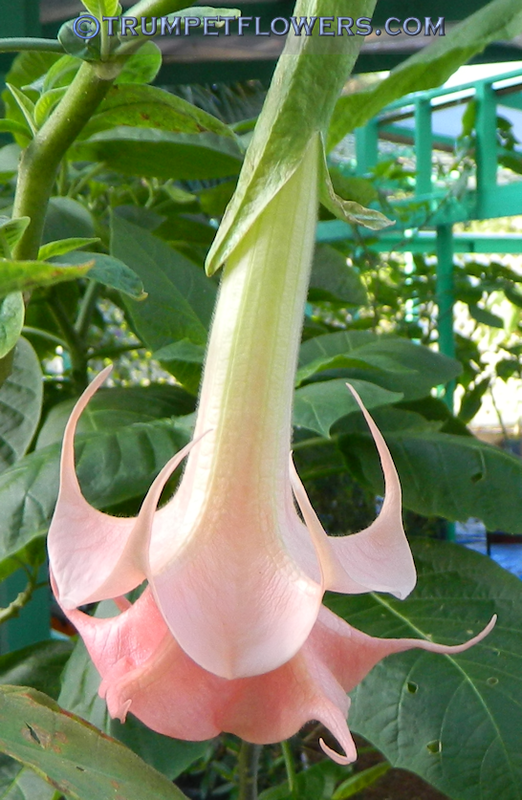 My husband says it looks like a Fairie&apos;s hat. 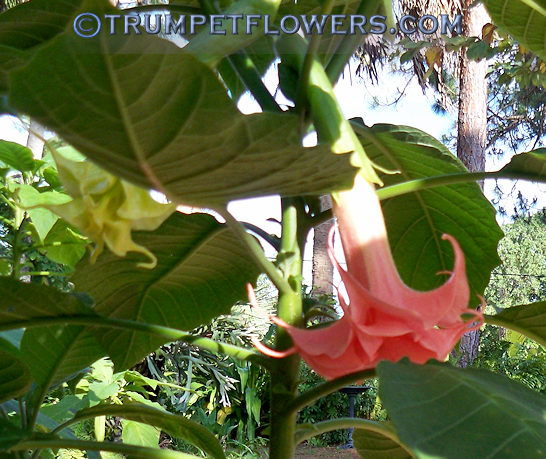 A couple of blooms on the baby shoot that will become the new mother. 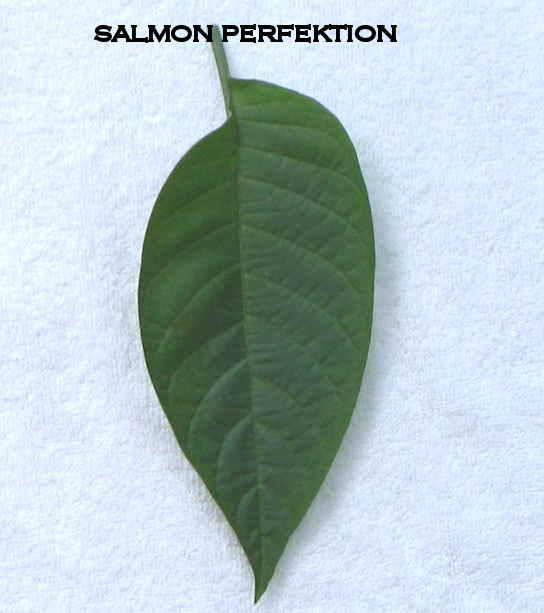 Salmon Perfektion, October 2013. 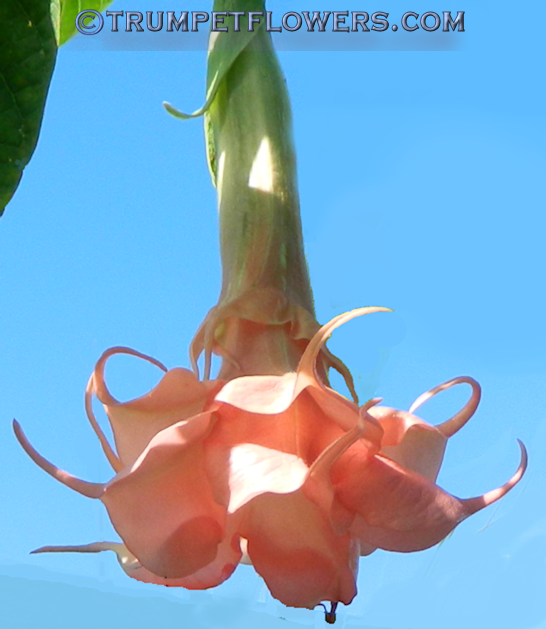 Closeup of Salmon Perfektion bloom. 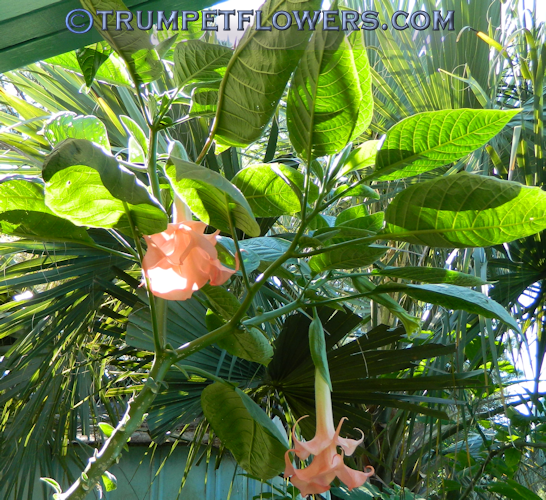 The leaf of Salmon Perfektion is deep green, slightly leathery to the touch.